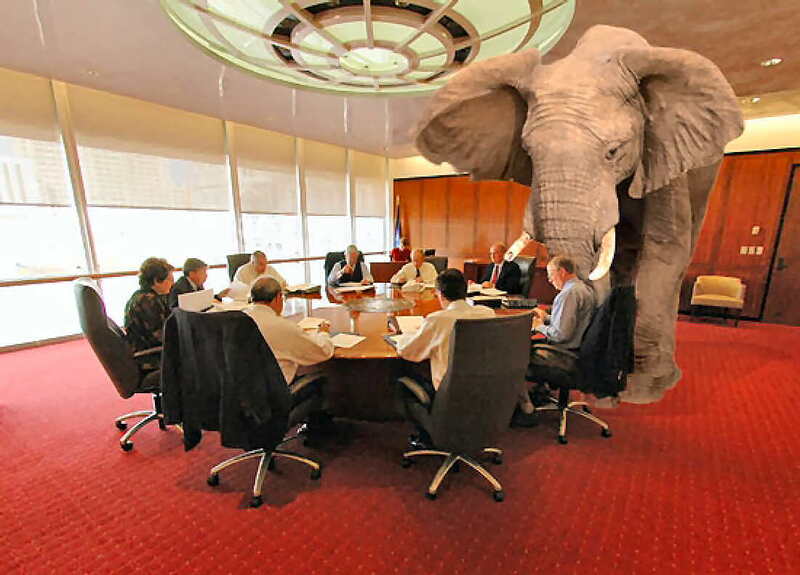 For many years now, in business offices and break rooms throughout the country, there was an “elephant in the room” nearly as taboo to acknowledge in a business setting as religious and/or political ideologies. After all of these years of being invisible and creating pent-up tension, that elephant not only made itself visible a few weeks ago, it took center stage in those offices and break rooms triggered by countless articles that have flooded both social and traditional media with passionate arguments. Few topics have triggered so much hoopla and passion; that elephant is work-from-home or telecommuting. As you’ve undoubtedly read by now, it was all triggered by Ms. Marissa Mayer, newly-minted CEO of Yahoo, who purportedly ended the company’s telecommuting program. With little exception, Ms. Mayer’s decision was received with both cynicism and criticism. After all, telecommuting has become so commonplace since the advent of notebook computers, pervasive and speedy Internet access, and a broad range of telecommunications and conferencing technologies. Executives across the United States have broached the topic with the utmost of sensitivity: being too critical may brand them old-fashioned and non-progressive; being too lenient may result in empty corporate headquarters and, while some smaller start-ups and mid-sized companies are able to function completely virtually with no true office space, there aren’t many, if any, examples of larger-scale businesses run with no physical offices. My issue with nearly all of the editorials written on this topic is that they’ve taken a very unilateral, and broad-based position to one side or the other. It is a bit unrealistic to say that telecommuting doesn’t work under all circumstances or, likewise, that it is completely without fault. A few articles took an “it depends” tact but left the matter quite vague. With this post, I’d like to humbly confront the elephant head-on and summarize the three fundamental components I see converging to form a pragmatic telecommuting philosophy. The entire debate centers on a singular question the answer to which frames the remainder of the discussion: is virtual, teleconference-based collaboration as effective as in-person, face-to-face collaboration? The answer to this central question is the first of my components. I contend that, despite advances in technology over the past two decades, face-to-face collaboration is more effective than its teleconference-based analog. Does this mean I believe teleconferencing is ineffective? Absolutely not. Does this mean I believe we will never be able to make teleconferences as effective? No, but we’re not there yet. However, it does mean I believe that telecommuting has a cost and businesses should simply acknowledge and account for that cost as they employ telecommuting programs. Denying that cost is, with all due respect, quite disingenuous. Try to imagine a meeting such as the following: an eight-person brainstorming meeting with three colleagues in the room with you and four additional colleagues dialed in on a conference line using a webcam pointed at the whiteboard. Can that meeting be as effective and efficient as if all eight people are in the same room? I sincerely believe not; there is a cost to remoteness. So, when is that cost merely minimal or perhaps even negligible, and when is it impactful or detrimental? The answer lies in the aforementioned example; it’s really a matter of 1) the degree of collaboration and interdependence between the telecommuter and his or her colleagues, and 2) the objectivity of the telecommuter’s performance. A travel agent in a call center setting, for example, likely has minimal interaction with peers in the course of his or her day-to-day work as their day is spent interfacing with outside clients and using a variety of electronic systems as they manage reservations. While there is a great deal of camaraderie that this agent would potentially enjoy from sitting around colleagues and sharing a few stories at the water cooler every now and then, it is hard to argue that the cost to effectiveness is substantial. Perhaps more importantly, the agent’s performance is quite objective: he or she is likely measured on a combination of customer satisfaction as well as volume of sales, metrics that are very objectively-measured and can quickly establish norms for both in-office and at-home agents. The more collaborative the role and the less its performance is objective, the higher the cost of telecommuting. Examples of such roles with potentially higher costs to telecommuting are: product managers who are central to a company’s product success and who serve as the epicenter of product planning activities, project managers who are charged with driving multi-person, multi-disciplinary teams, and leaders/mentors who are focused on developing junior staff where face-to-face interaction is quite crucial to reading body language and anecdotal or circumstantial context. In these examples, performance is also quite a bit less objective. Once again, I’d like to reiterate that it’s still plausible to support telecommuting in such scenarios, but one must simply acknowledge the associated cost to the business. Finally, many forget that telecommuting need not be a binary decision: a telecommuter can work in-office part of the the week and at home the rest. Likewise, telecommuters can frequently benefit from initial employee on-boarding in the office prior to beginning their telecommuting arrangement. Even in the case of full-time telecommuters, it’s a very good idea to make a habit out of a routine in-office schedule to engender interpersonal relationships with colleagues and to catch up on office gossip :-). All of that being said, it’s important to recognize the benefits to the employee enabled by telecommuting: from saving on transportation time and costs to proximity to loved ones or personal obligations. With these benefits, companies can build a great deal of good will that can quickly offset any of the aforementioned costs of telecommuting. Attracting, retaining, and motivating the best and most talented employees is undoubtedly a key component of business success…and that doesn’t come for free. This post is featured on Wired Magazine‘s Innovation Insights. Early in my career I worked for a company with a very open environment before such things were popular. Every department was housed side-by-side in a single giant room. There were no cubicles or walls of any kind. My desk was pushed face to face with the desk of the President’s assistant. She listened in on every sales call I made, every customer recovery discussion I had, and any discussion that took place at my desk. I, in turn, overheard every discussion she had via phone with the president, other department heads, and every office gossip that dropped by her desk for a quick chat. I would have missed out on a very interesting learning experience early on in my career had I been telecommuting. Thanks for the personal anecdote, Jack. I admire you for being able to manage such a lack of privacy for the sake of learning. I must admit, I think a balance of personal space/privacy and common space/collaboration is probably most comfortable. I must admit, I’d be speculating at best about Ms. Mayer’s decision. However, given Yahoo’s current challenges to transform itself out of obscurity, I, too, would be exploring every opportunity for optimization and improvement. Hmmm… where technology and office politics intersect? I’m glad you liked it. Thanks very much.